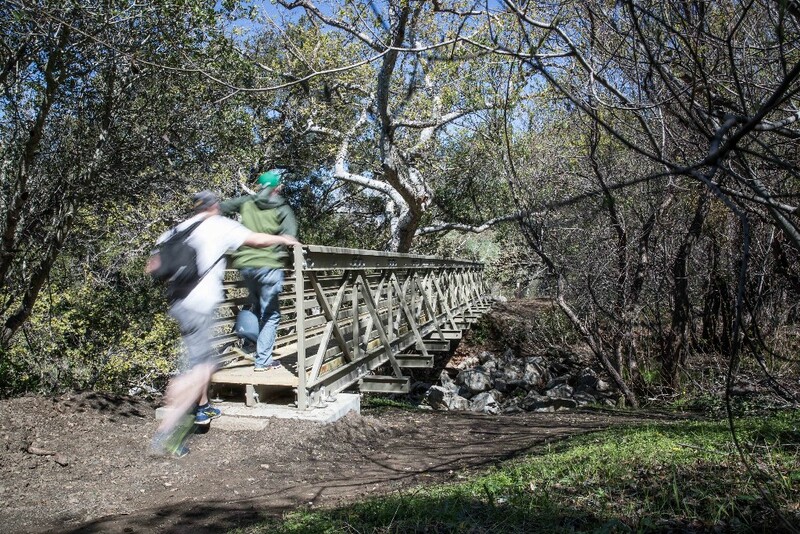 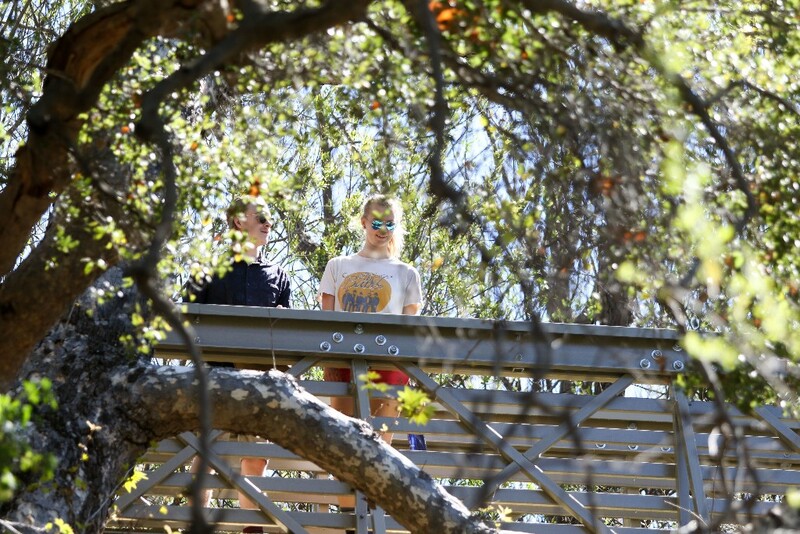 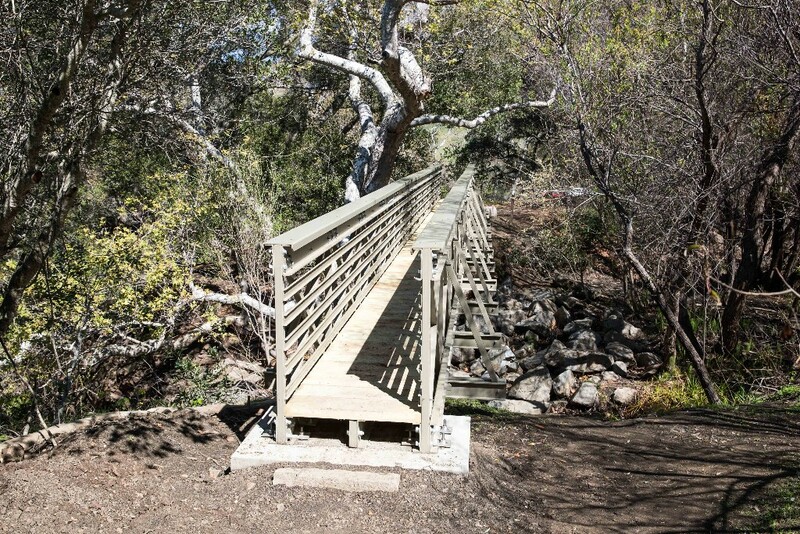 The Natural Resources Department and Ranger Services of the Parks and Recreation Department knew they needed better access to the north trailhead of the Reservoir Canyon Open Space. 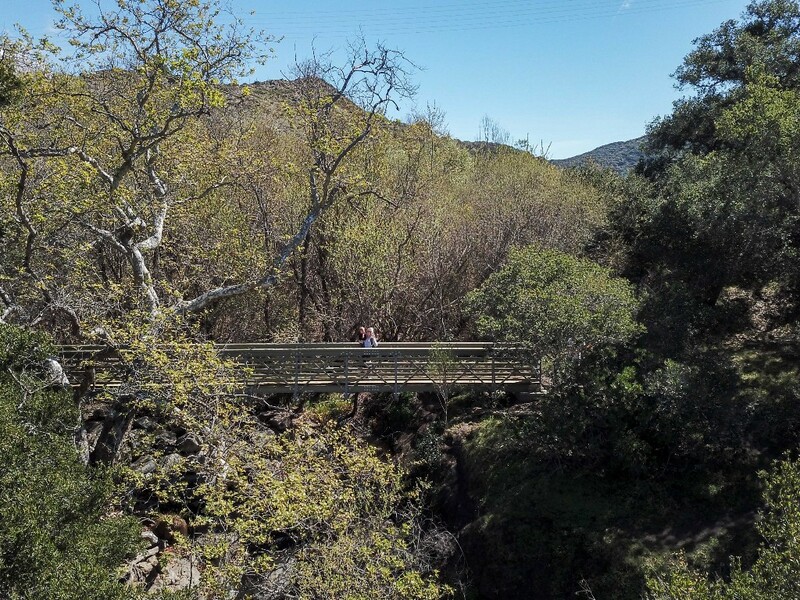 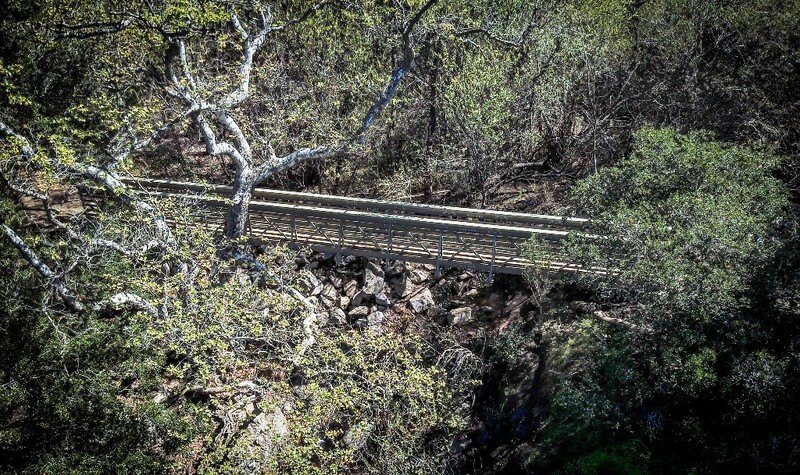 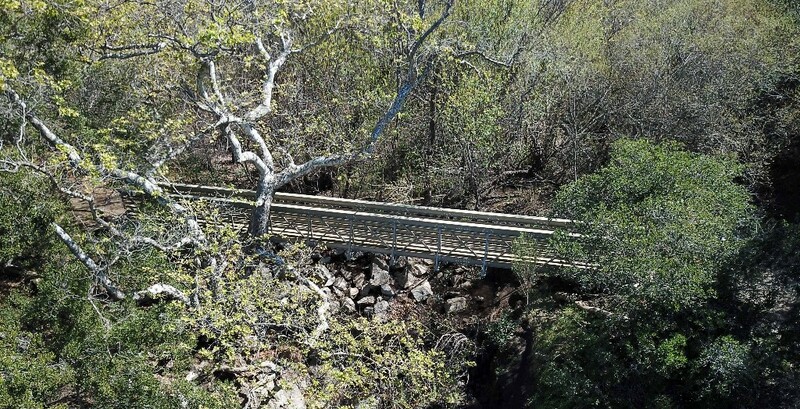 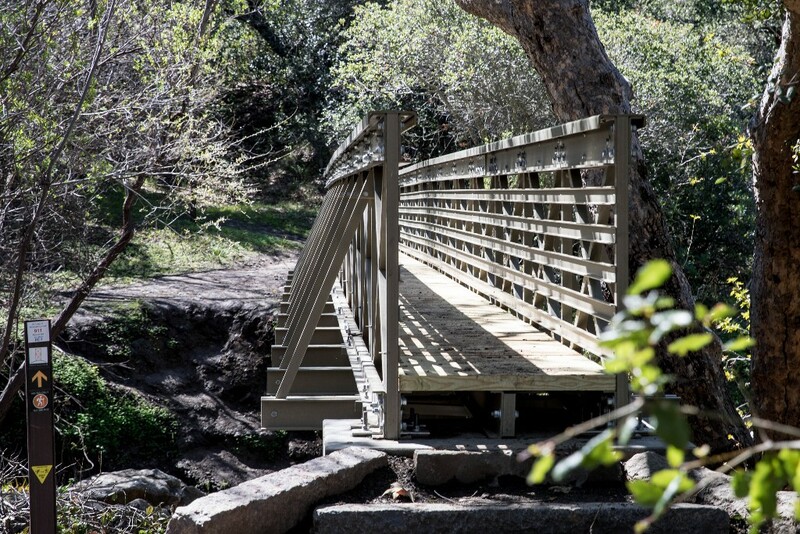 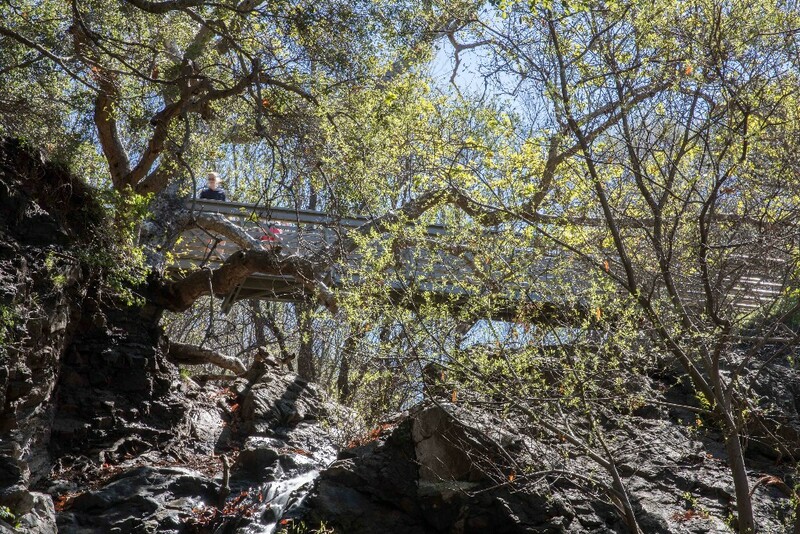 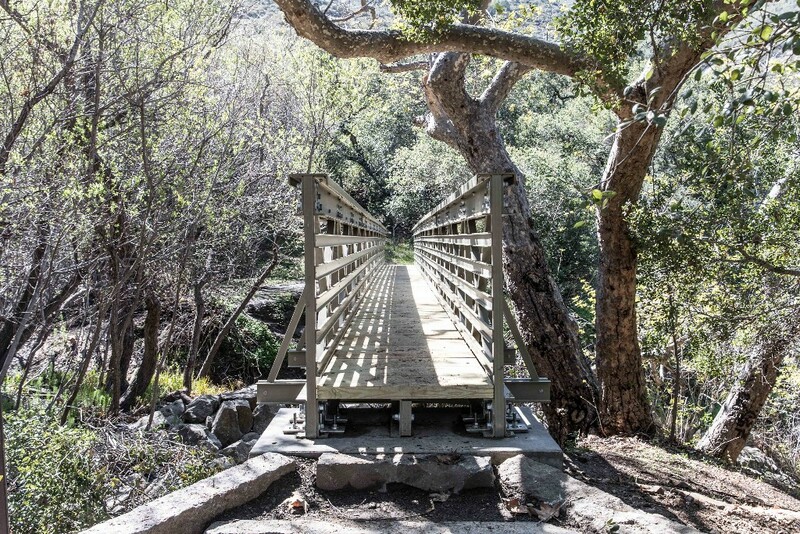 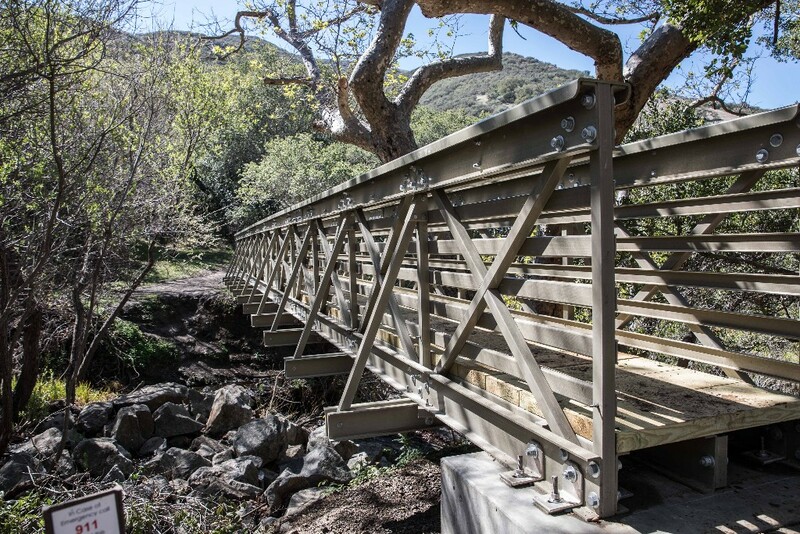 With experience of a new lighter Fiber Reinforced Polymer Structural Truss Bridge design used in the backwoods of Yosemite National Park, they contacted SSG to assist in delivering a new 60ft crossing. 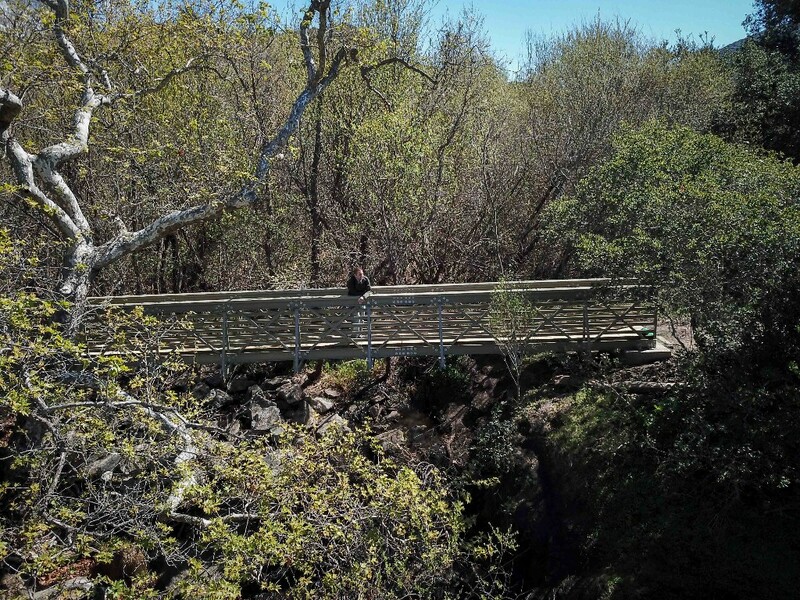 The new all weather crossing traverses the outlet of the first water storage supply for the City and provides a pseudo bird’s eye view of the locally famous waterfall. 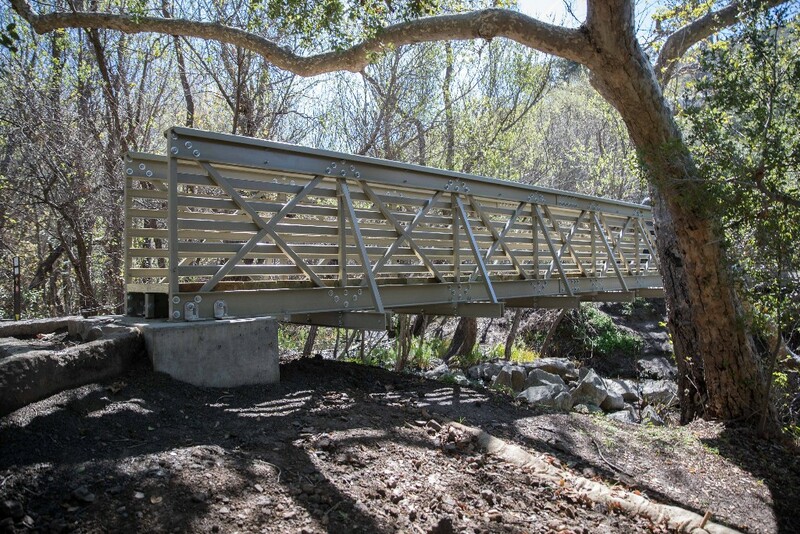 The Bridge color was chosen to match surrounding vegetation.